The smallholder livestock sector in Botswana faces a challenge in exploiting the growing national and regional demand for meat, as well as preferential access to the EU market. The incentives for value addition in pursuit of these markets appear to be limited. There is also limited evidence of innovation in the value chain, particularly for small stock. 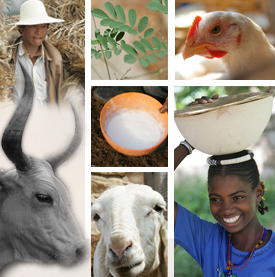 This poster for the Tropentag 2014 conference shares findings from a study that explored the existing value chains in which livestock products are produced and traded in Botswana. Tags: beef, cattle, ilri40, poster, Sirak Bahta, tropentag2014. Bookmark the permalink.